Paul McCartney is one the richest entertainers in the world with a stunning net worth of $1.2 billion. When it comes to how he earned it, well, the easy answer is he's a Beatle, a member of Wings, and a solo artist with a music catalog (much of which he wrote and composed) that continues to earn royalties to this day. McCartney is one of the most successful composers and performers of all time. More than 2,200 artists have covered his Beatles song Yesterday, making it one of the most covered songs in popular music history. Needless to say, he earns money almost every time it is covered. Paul McCartney has won eight Grammy Awards. He has written or co-written 32 songs that have reached number one on the Billboard Hot 100. He continues to be one of the top earning celebrities year after year. So how did Sir Paul McCartney come to be so incredibly wealthy? McCartney and the rest of the Beatles burst onto the scene in the 1960s and immediately caused a frenzy. During the decade that the Beatles were in existence, the band released 12 studio albums 13 EPs and 22 singles. Overall, they also released 12 live albums, five compilation albums, and 15 box sets. Every single Beatles release went at least gold and most of them went platinum. And that doesn't even count his solo career or the decade plus with Wings. With the enormous catalog of music that McCartney has, he has the ability to roll out world tour after world tour. From the Beatles in the 1960s to today, the now 76-year-old has been wowing audiences for 50+ years. 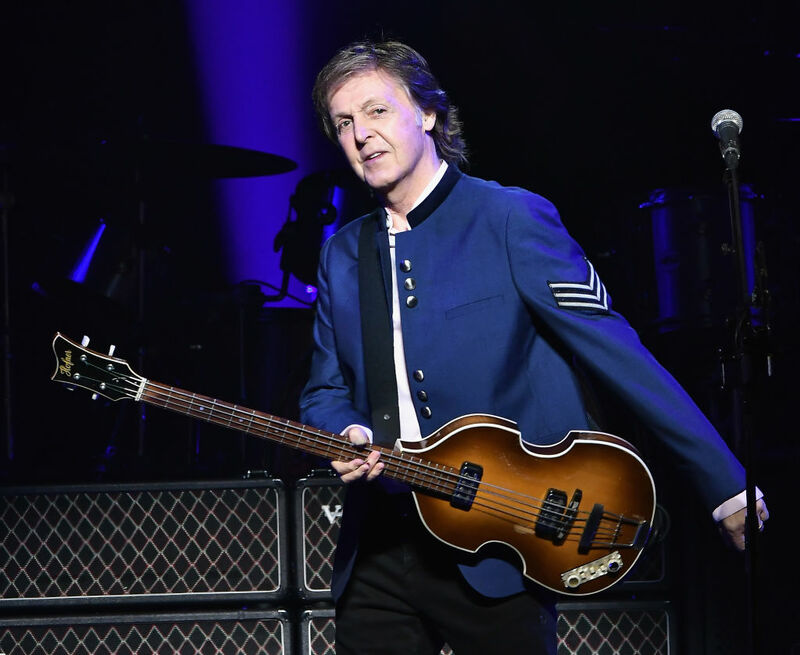 During his 2015-2016 tour, for instance, McCartney pulled in $4 million per city. That's more than JLo, Beyonce, or Jay-Z, all of whom toured during the same period. McCartney also delivers, which brings fans back again and again. He typically plays a three-hour set when he tours, giving audiences a lot of bang for their buck. Consider the fact that he's been touring since the 1960s. He's done Live Aid. He played halftime at Super Bowl XXXIX. In 2002, his tour brought in $126 million. His 2010 tour grossed $93 million. In 2014, he earned $71 million on an 80-date tour through 20 countries. In 2016, he earned $56.5 million. In 2017, he earned $54 million with his 15 city tour in the U.S. and Brazil. In the fall of 2018, he headlined the annual Austin City Limits music festival. Paul McCartney is a machine that shows no signs of slowing down. McCartney is one of the most successful musicians and composers in the history of pop music. Paul has released sixty gold discs and has sold over 100 million singles. So, to answer the question of how Sir Paul McCartney earned his $1.2 billion fortune, we can chalk it up to talent and dedication. Talent to write and perform the songs and dedication to keep touring decade after decade that audiences continue to show up for.